Designer Window Supply is your fenestration expert. We work with a select group of building industry leaders to provide customized, immediate service and competitive pricing. We specialize in large-scale, complex jobs. As product experts, we take fenestration design information and compose accurate bid packages that include product samples, drawings and measurements to fit each client’s budget. A family owned and operated business, American Vision Windows began more than 15 years ago with a mission to "Revolutionize the Home Improvement Industry, One Customer at a time." Owners Bill & Kathleen wanted to help fellow homeowners save money by keeping their homes better insulated. Now, American Vision Windows is the largest window sales and installation company in California and one of the largest in the nation. 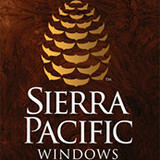 Manufacturer's rep for door, hardware and window related products. I cover the southern California market. Coughlin Windows and Doors opened for business in 2008. The owner, Gerald Coughlin, has over 14 years of experience in the window and door industry, including sales and installation. Coughlin Windows and Doors is committed to 100% customer satisfaction; ensuring we offer the absolute best in products and installation. Our slogan, since the beginning, has been “Quality Products. Quality Service. 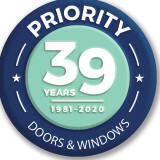 That’s the Coughlin promise.” We specialize in sales and installation of energy efficient vinyl windows and patio doors. Our service begins with a free in-home estimate and no-pressure sales consultation. Followed by a walk-through and final measure by Randy Ramirez, our Installation and Project Manager. Product is ordered and the homeowner is given a two to three week lead time before our highly trained installation crew arrives. When the installation is complete you will receive a follow-up phone call from our sales manager inquiring about your experience with Coughlin Windows and Doors. Since our founding in 2000, Alpine Windowerks has grown to be San Diego’s leader for historic, wood windows and doors and an innovator for new, highest end entry door systems. Locally owned and operated, our company has the knowledge, skill and manufacturing capacity to handle projects of any size and complexity. Whether historic restoration, replication, or new construction, we have what it takes to make your project a success. Whether you’re building a new San Diego home, remodeling an old one or just replacing a few windows that are past their prime, your window dealer in San Diego, CA will help you pick the right windows for your needs, home style and budget. Windows come in so many sizes and types that expert advice and direction is invaluable in helping you make the best decision. These pros can also help you with custom window designs that complement your space better than something ready-made. Lastly, if you are interested in doors with windows, these experts are also knowledgeable about sliding doors, French doors and other paned portals. Find a window dealer on Houzz. 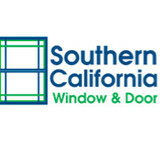 Narrow your search in the Professionals section of the website to San Diego, CA window dealers. You can also look through San Diego, CA photos to find examples of windows that you like, then contact the window professional who worked on them.